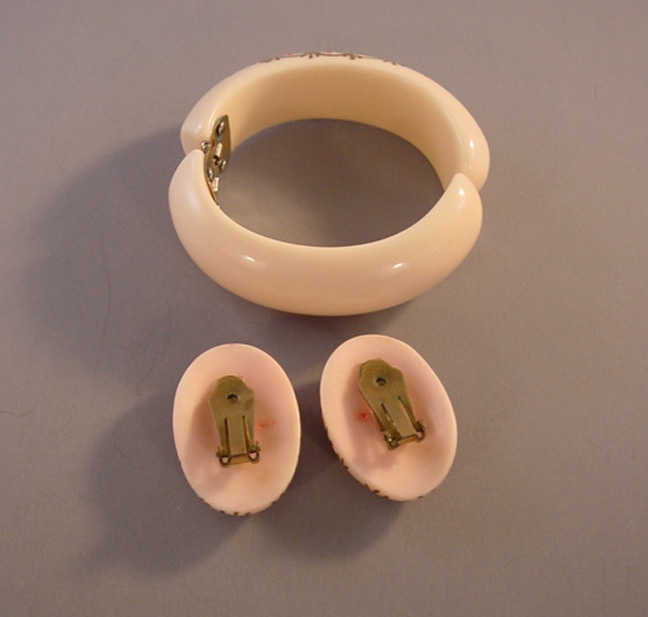 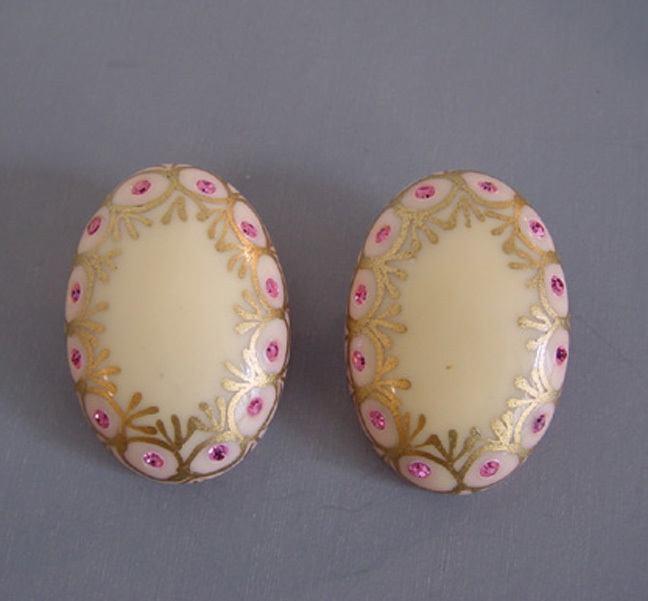 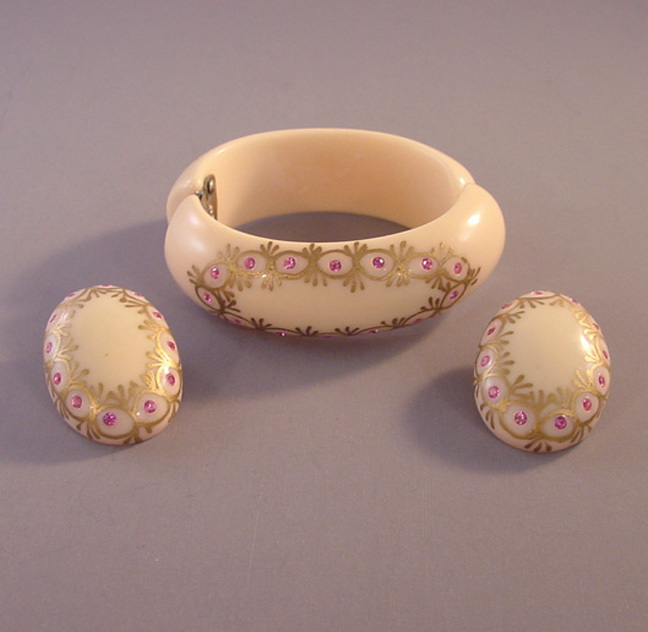 CLAMPER cream hinged plastic clamper bracelet and earrings with pink rhinestones and hand painted gold details. 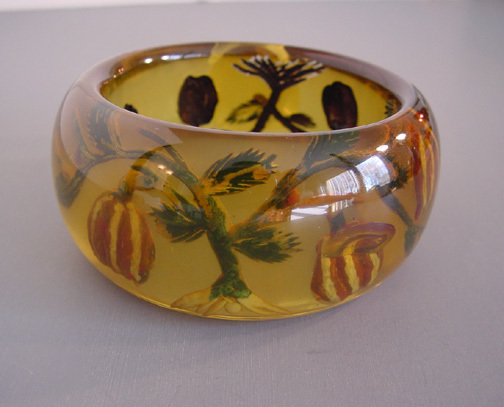 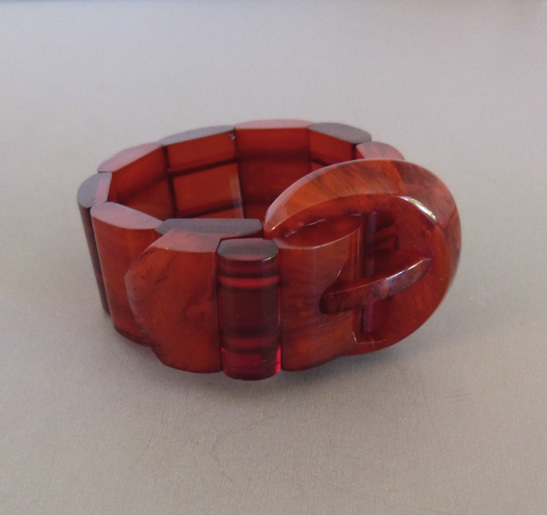 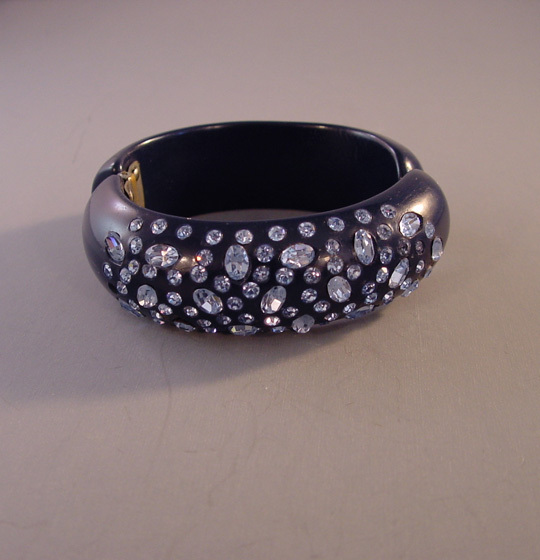 The bangle has a hinge one on side and it is 6-1/4" by 7/8", so a good size for a bit smaller wrist than normal. 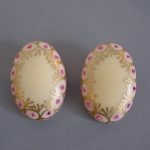 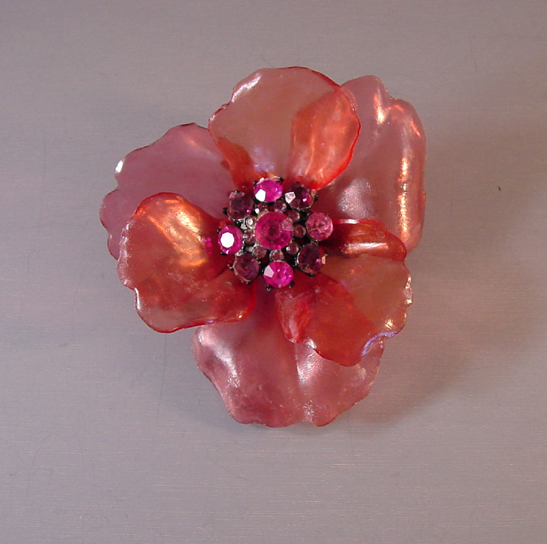 The clip back earrings are 1-1/2". This set is from the 1950s and it's in excellent condition.